The following calendar features festivals and events in Victoria including cultural festivities, sporting events, markets and other activities. Being a world-class tourist destination, Victoria features numerous festivals and events including outdoor concerts, sailing races and parades. Check it out! The best and most important festivals and events in Victoria and the surrounding region are listed below. Dine Around & Stay in Town (special promotional deals) – late February until early March. Moss Street Market – a weekly outdoor farmers and artisan market from 10 am until 2 pm at the corner of Moss Street and Fairfield Road. Beach Food Fridays & Saturdays – food trucks on weekends from early May until the beginning of September from noon until 7 pm at Ocean Boulevard in Colwood. Moss Street Market – a weekly outdoor farmers and artisan market from 10 am until 2 pm at the corner of Moss Street and Fairfield Road between May and October. James Bay Market – at the corner of Superior and Menzies Street from early May until the end of September between 9 am and 3 pm. Beach Food Fridays & Saturdays – food trucks on Fridays and Saturdays from early May until the beginning of September from noon until 7 pm at Ocean Boulevard in Colwood. Oak Bay Tea Party – a community fair in Oak Bay that includes amusement rides at Willows Park in early June. Oak Bay Night Market – a large night market in Oak Bay Village on the second Wednesday of the month between 4 and 8 pm. Victoria Pride Week – the first week of July (with the parade on the Sunday at the end). Moss Street Paint In – a special one-day event that’s part of the Moss Street Market and features dozens of local artists and their work (in mid-July). Thanksgiving Monday (Stat Holiday) – Monday after the 2nd Sunday in October. Victoria Marathon – a marathon, half marathon and 8K running races on the Thanksgiving Sunday. Christmas in Oak Bay – a week of holiday season activities in Oak Bay Village between the last Sunday in November and first Saturday in December. Victoria’s Best Places is an online resource for tourists, locals and anybody who wants to know the best places to visit and what’s going on in the Greater Victoria region. Information on this website is accurate to the best of our ability at the time of writing, but actual details may vary. 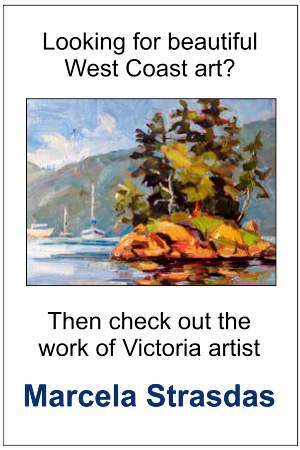 Victoria's Best Places does not accept responsibility for loss or inconvenience due to errors. For the most up-to-date information see relevant official websites.